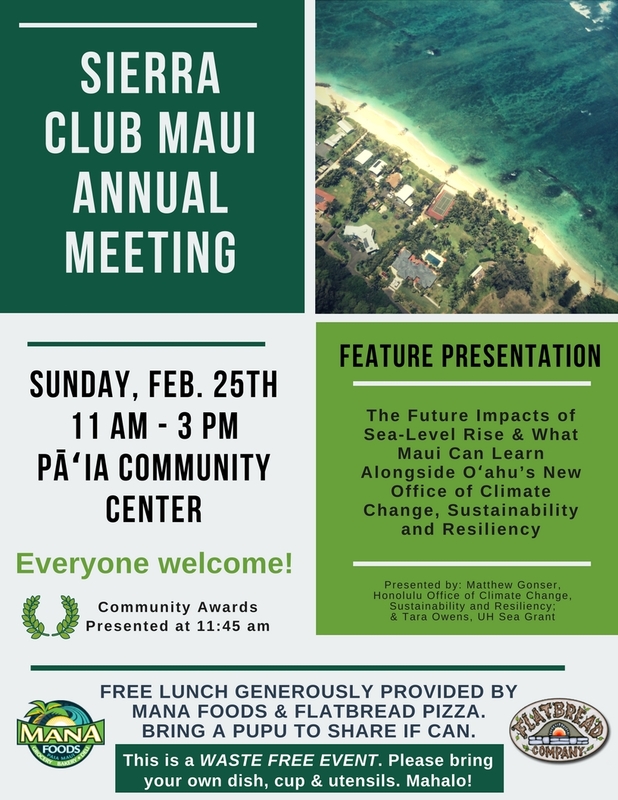 Please join us for our Annual Meeting on Sunday, February 25th from 11 am – 3 pm at the Pāʻia Community Center. Lunch is generously being provided by Mana Foods and Flatbread Pizza. Bring a pupu to add to the potluck! 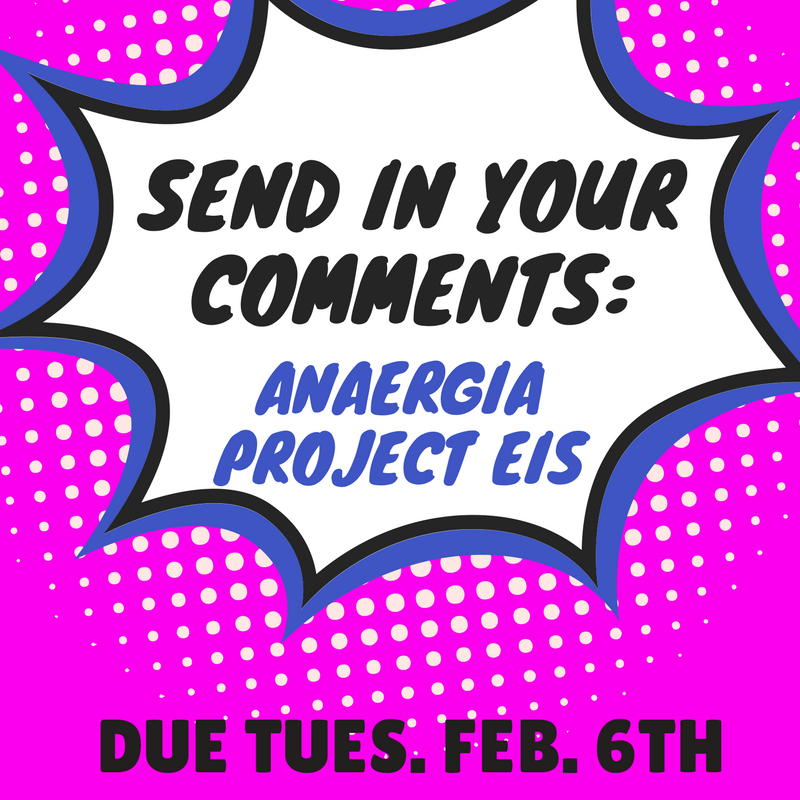 This is a waste-free event – please bring your own utensils, plate, and cup. 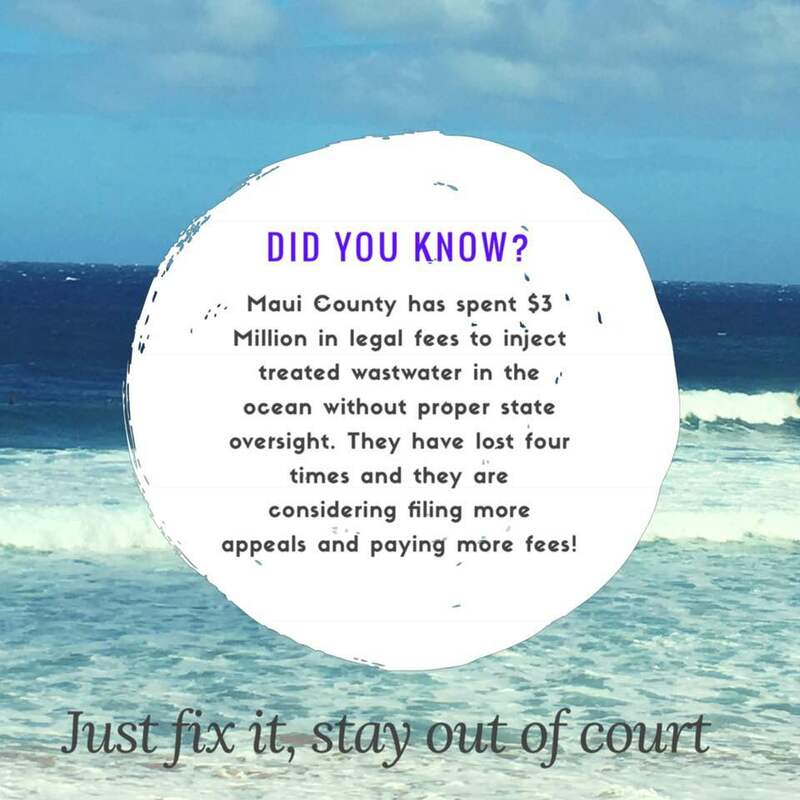 9th Circuit Court Rules in Favor of SC Maui and allies! The 9th U.S. 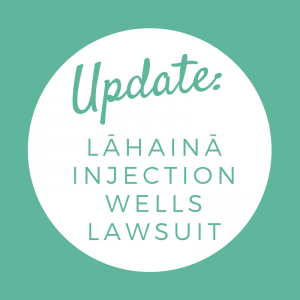 Circuit Court of Appeals ruled that the county’s use of injection wells at the Lahaina Wastewater Reclamation Facility since the early 1980s violates the federal Clean Water Act. 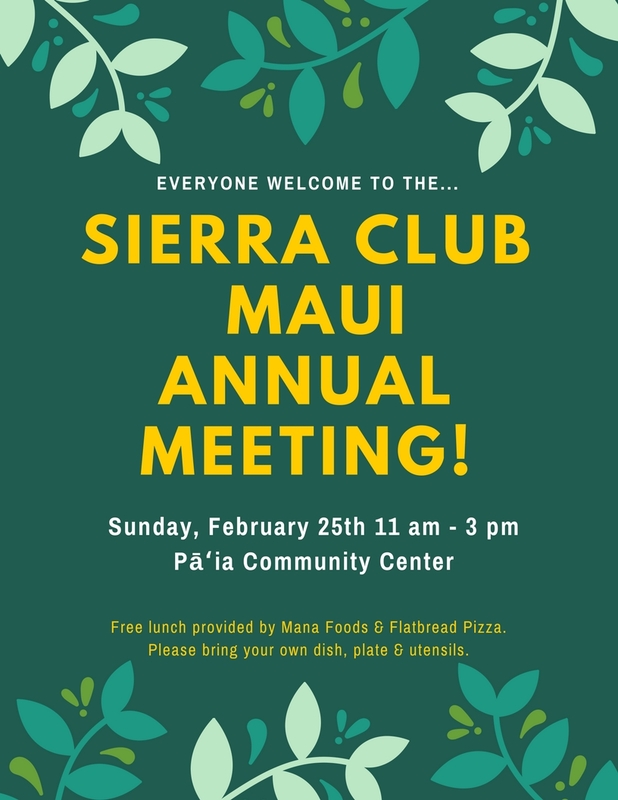 Sierra Club Maui, Surfrider Maui, the Hawai’i Wildlife Fund, and West Maui Preservation Association first brought the lawsuit in 2012. 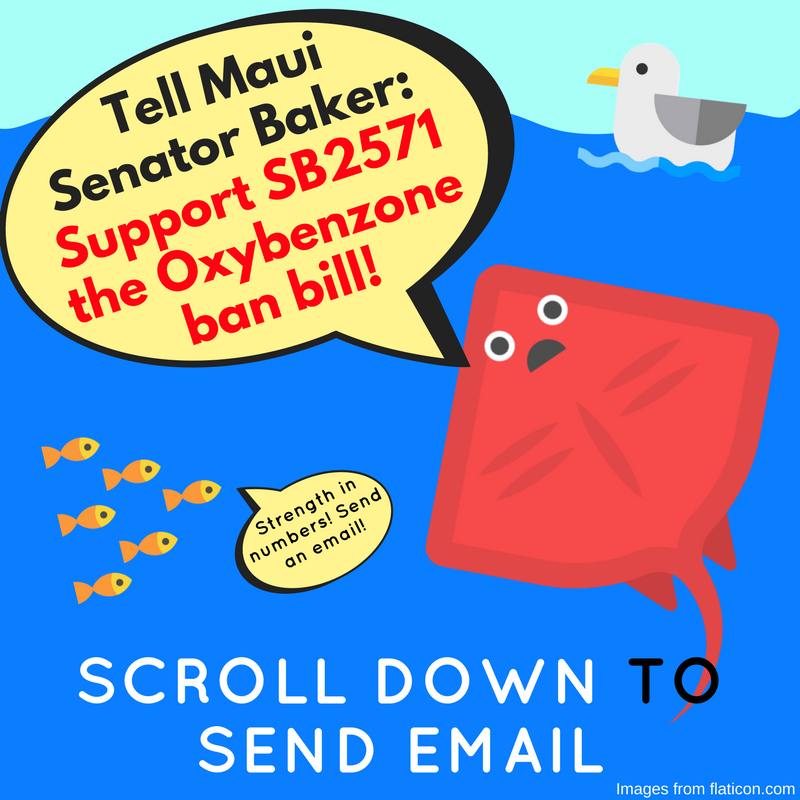 Read our lawyerʻs press release here.